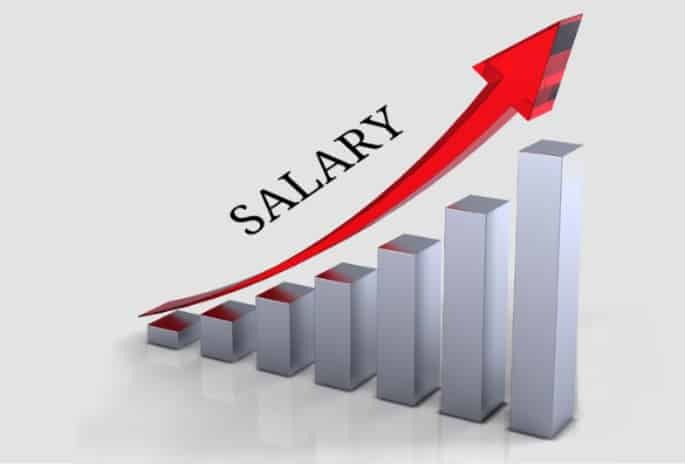 A 23.6% salary hike of central government employees will cost Rs. 1 lakh crore more in first year. The Seventh Pay Commission panel was headed by Justice A K Mathur. He is a retired judge of the Supreme Court of India. Justice Mathur has decided to hike the salary and other allowances of all central govt. employees, defense personals and public sector unit employees by a huge margin of 23.55% . It has also decided a 24% rise in pensions. The much controversial One Rank One Pension for army and paramilitary forces was also considered following a three month long protests by military veterans, followed by giving up medals and awards. These changes in the pay commission will result in an extra expenditure of approx. Rs. 1.02 lakh crore in the year 2016 – 2017. This new pay structure will benefit nearly 47 lakh central govt. employees and 52 lakh pensioners. In addition to this, the employees of public sector units, autonomous bodies and universities will also get benefited. This 23.55% increase includes 16% hike in basic pay and 63% hike in allowances. There will be a increase of 24% in pensions. The annual increment will however remain 3%. The minimum pay per month will be Rs. 18,000 and the highest pay will be Rs. 2.5 lakh for the cabinet secretary and officers of the same rank for example the Controller and Auditor General and chiefs of army, navy and air force. The current pay band of cabinet secretary is Rs. 90,000 per month. The current health scheme called Central Govt. Health Scheme (CGHS) will be replaced by a newly designed health insurance scheme for the central govt. employees and pensioners at highly subsidized rates. The pay panel has started to chalk out a new health policy and are helding meetings with the health insurance companies to offer non-profit basic insurance, regardless of age or medical conditions. The Insurance Regulatory Board Of India (IRDA) is making a thorough research on this. All central govt. pensioners will get a fixed monthly medical allowance of Rs. 500 per month. Plan is such that the medical insurance will give coverage till death and the employees and pensioners will have to pay 50% of the premium and remaining 50% will be paid by the central govt. itself. The maximum sum assured for a family of six of the central govt. employees is supposed to be Rs. 5 lakh. After much protest all over the country regarding One Rank One Pension (OROP), also known as Indian Ex-Servicemen Movement(IESM), the 7th pay commission made a revised pension scheme for the employees of civil govt.,paramilitary forces and defense personals. Parity will be brought with the implementation of the new Seventh pay commission pay structure between the pensioners retiring currently and past pensioners. The Military Service Pay (MSP) is a compensation given to the armed personals for various military services. It was decided that it will also be doubled. It is recommended that the MSP will be Rs. 15,500 instead of Rs. 6,000 at present, for the serving officers. The current monthly Siachen allowance will also be hiked. The plan is to make it Rs. 31,000 instead of Rs. 21,000 for service officers and for JCOs and ORs the allowance will be Rs. 21,000 , instead of currently Rs. 14,000. The retirement age of all paramilitary personals is fixed at 60 years. The paramilitary forces dying in the line of duty will also be recognized as martyrs and their family will get an ex-gratia of Rs. 25 -45 lakh. The disability pension scheme for the armed forces is also reviewed and it will be made a slab based system instead of current percentile based system. The commission has decided to introduce a scheme called Performance Related Pay (PRP) which will be based on annual performance appraisal reports, quality results framework, etc. The existing bonus schemes will be affected by the introduction of PRP. It recommended to merge another 36 allowances in the current existing allowances and abolish 52 allowances. The process of claiming of allowances of the employees will also me made simple and user friendly. There will be also a rise in ceiling on gratuity from the existing Rs. 10 lakh to Rs. 20 lakh. It would be raised by 25% when Dearness Allowance (DA) will get increased by 50%. Of the total Rs. 1.02 lakh crore extra expenditure in the next financial year, Rs. 73,650 crore will be borne by general budget and Rs. 28,450 crore by the Railway budget. Finance ministry sources has confirmed that this steep rise will not create much problem in the current fiscal year. This is because the revisions will take in the last quarter. The next fiscal year will be of pressure and the development expenditure funds will have to be used. The burden will decrease gradually second year onwards. Finance Secretary Ratan Watal told reporters that the central govt. is getting itself prepared and urged the states to look after their pay structures. He also added that this fiscal year will not be affected as implementations will be from next financial year. Govt. is trying its level best to get maximum corporate and foreign investments.